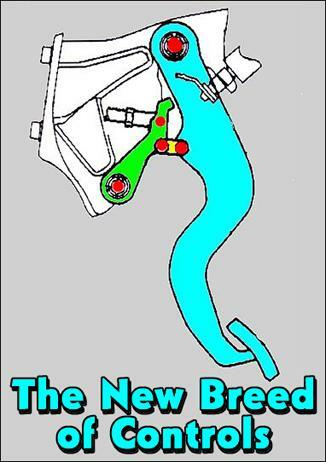 In this series of articles we've already covered steering systems ["The New Breed of Controls - Part 1"] and throttle controls ["The New Breed of Controls - Part 2"]. This week, in the final part, we examine the relationship between the brake pedal and the driver - something that has an enormous influence on the ability of the driver to control the vehicle under braking conditions. And as with the other areas of car controls that we've covered, brake feedback and feel has major relevance to high performance and modified cars. Until I drove an electric car ["The Solectria DW Electric Car"], I'd never thought much about brake pedal feel and travel - besides the obvious points of noting that some cars have softer pedals than others, some have longer travel pedals, and that a change in brake pad can make a major difference to feel. But the electric car showed me that what I had taken for granted as being the 'natural' way of having a brake pedal operate isn't necessarily the best way. 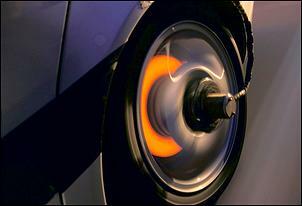 So how did the electric car's brake pedal work? Well, firstly the car effectively had two braking systems - normal hydraulic brakes and also a regenerative system that was triggered if you lifted the accelerator. In fact, the first half of the throttle pedal's travel was actually the regen braking range. And it was the travel of the pedal - rather than the pressure applied to it - which dictated how much braking occurred. Lift it a little past that halfway point and the car slowed very gradually; lift it a bit further and the decel increased. 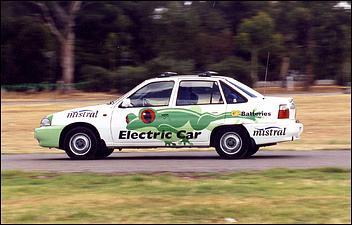 As I later wrote, "Driving the electric Daewoo...was a revelation. Suddenly you could modulate with precision the degree of retardation being experienced. The subtleties of varying braking by tiny amounts became natural; you could change the stopping point by a few centimetres if you so desired. And if you find the difference over a normal brake pedal hard to imagine, think of what the accelerator in a conventional car would be like if it operated just on pressure - ie, you had to stand on it to get full affect. After all, that's what you have to do with [a normal] brake pedal..."
It took less than a day to adapt to that quite different brake pedal feel of that car - and then I loved it. But perhaps my appreciation of a brake system that operated primarily on pedal travel rather than pedal pressure isn't widely shared - for with the advent of electro-hydraulic braking, car engineers are trying their damnest to keep the brake pedal feeling just like it always has, despite the complete freedom that's now possible in the relationship between brake pedal feel and retardation. In fact on the Mercedes models fitted with Sensotronic Brake Control, the company states that, "In order to give the driver the familiar sensation of braking, the engineers have developed a special simulator which is coupled to the tandem brake cylinder and guides the pedal using spring force and hydraulics." But, oddly enough, at the same time as engineers are striving to retain a traditional brake feel in a system that has no requirement to do so, those working on conventional hydraulic brake systems are experimenting with variable ratio pedals! These have the ability to combine excellent feel with a short travel pedal, while still retaining a pedal that has sufficient mechanical advantage to operate the brakes with a failed booster. 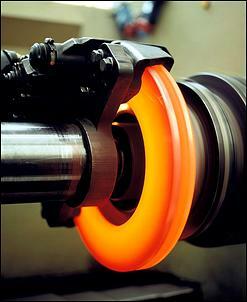 Normal brake systems already have a variable ratio. 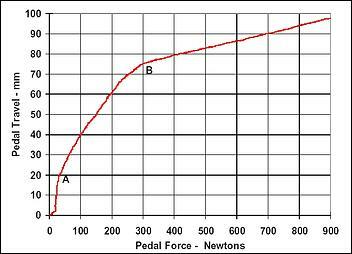 In other words, pressing on the pedal with a force of 200 Newtons does not give double the deceleration achieved with a braking force of 100 Newtons. 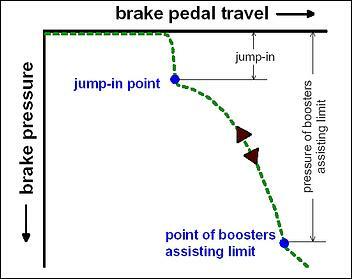 In addition, the travel of the brake pedal is not linear with respect to vehicle declaration either! However, most of these non-linearities are due to components in the braking system other than the pedal - especially in the action of the vacuum booster. The brake pedal itself is normally designed so that it has a fixed ratio. 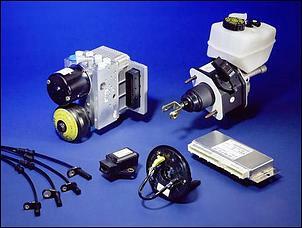 However, Toyota engineers have developed a mechanical, double-link, variable ratio brake pedal. 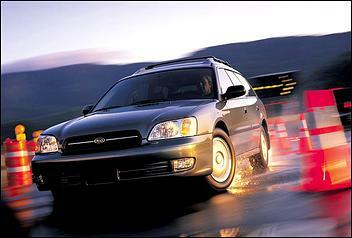 This elegant design was introduced in order that good pedal feel was better combined with high braking effectiveness. A typical brake pedal arrangement is shown here. The red dots show the two pivot points. 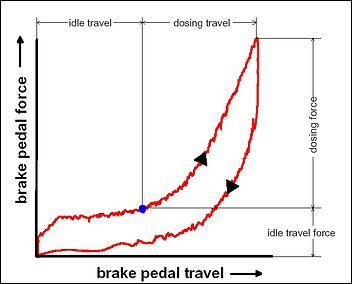 The relationship between pedal force and pedal travel with this type of brake pedal arrangement looks like this. The section of the graph up until Point A is prior to the vacuum booster control valve opening. The point at which the booster comes into operation is called 'jump-in'. Between Points A and B, the booster assists in pedal operation, while after Point B no additional boost assist is available. As can be seen, following Point B, the braking system becomes fairly linear in respect to pedal force and pedal travel - but this is only at very high pedal pressures. A ratio in the initial part of the pedal movement that is small. A ratio that then becomes greater as stroke further increases. 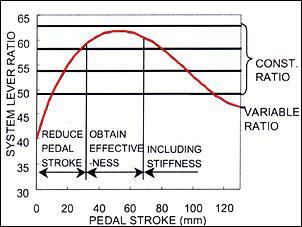 Good brake stiffness towards the end of the stroke - so a reducing ratio towards the end of the pedal travel. 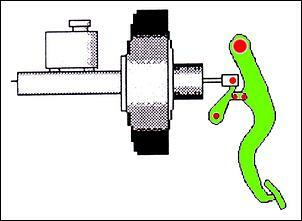 The Toyota engineers achieved this mixture of ratios by using the simple double pivot brake pedal shown here. As in the diagram above, again the red dots show the pivot points - but in this design there are five, instead of the usual two. As can be seen in this graph, the variation in ratio achieved with this simple design is quite amazing. Over a maximum pedal travel of 120mm, the ratio varies from as low as 40:1 up to about 62:1 - so there is over 50 per cent system ratio variation. 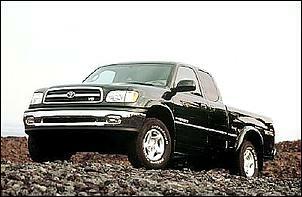 The pedal is currently in production, fitted to the Toyota Tundra truck sold in the US. Over the previous fixed brake ratio, the variable ratio brake pedal reduces stroke by 10mm at strokes greater than about 40mm, while still providing the same level of actual vehicle deceleration. 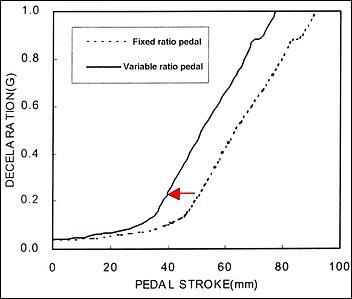 At pedal strokes below about 20mm, the deceleration for a given pedal movement remains the same as for a conventional fixed-ratio pedal. The comparison between the old and new is shown here. In addition to reducing the pedal stroke, the new variable ratio design also allowed the fitment of a smaller diameter, longer-stroke master cylinder. This design uses a 20.64mm diameter, 50mm stroke design, while the previous system made use of a 25.4mm diameter, 30mm stroke master cylinder. This change in master cylinder configuration allows for the use of a smaller booster. The variable ratio brake pedal described above alters some of the characteristics of braking feel that we have come to accept as normal. But in an optimal system, what would the desired brake pedal feel characteristics actually be, anyway? Researchers at the Darmstadt University of Technology in Germany have been investigating the braking characteristics that are both most preferred by drivers - and are also most effective. Some of the points that they make - including the fact that required brake pressure should surely vary on the basis of the gender and mass of the driver - are intriguing. Of course a stronger and heavier person will be able to brake more effectively with less power assistance - and may well find that a brake pedal optimised for a small, weak person to feel very over-assisted. But until I read the researchers' engineering paper, the thought had simply never occurred to me. But taking a few steps back, which brake pedal characteristics were best in different situations? In order to explore the relative importance of two of these factors, a research vehicle was designed that allowed the easy implementation of variable idle travel of the pedal (the movement of the pedal prior to any retardation starting to occur), and alteration of the 'jump-in' (the point at which the booster suddenly comes into action). 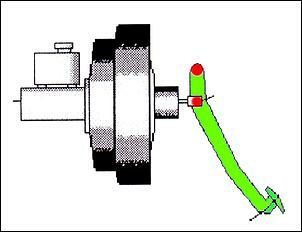 A standard braking system typically provides the relationship between brake pedal force and brake pedal travel shown here. There are several key points to recognise. Firstly there is a degree of idle travel, before the required force to move the brake pedal any further starts to increase - and the braking force acting on the car begins in earnest. After that, the pedal force rises at a faster rate than the pedal travel (ie the greater is the pedal displacement, the more firmly the pedal resists further movement). Secondly, the brake pedal 'release' force is noticeably lower than the 'apply' force - the gap between the two lines represents the brake system hysteresis. The latter makes sense - if the driver is to be able to modulate the brake pedal, then a system where the 'release' pressure was only (say) 200g lighter than the 'apply' weight would need a very sensitive foot indeed to get the right retardation. The jump-in point is more clearly seen on this graph, which shows the point at which the booster comes into operation. The researchers' test vehicle was configured to have at various time different jump-in points and pedal idle travels. Ten drivers were used to evaluate the performance of the car with these different brake pedal settings, negotiating a closed course that had various braking points. And if you guessed that they'd prefer zero idle pedal travel and an immediate jump-in, you're wrong. And importantly, the driver preferences varied, depending on the type of braking that was needed. For higher decelerations, a stronger jump-in was preferred, whereas for parking and small decelerations, a strong jump-in was judged to have a disturbing effect. The same preference variation occurred also in idle travel, where in stronger decelerations a small idle travel was preferred (obviously giving a quicker brake reaction time) while in small decelerations, an increasingly longer idle pedal travel was preferred. Furthermore, for best results a variation in each of the following should occur in different braking situations: braking force, brake pedal travel, damping, hysteresis (difference between 'on' and 'off' brake pedal travel and force) and jump-in. For example, in low-speed braking, best results are achieved with low damping, low hysteresis and especially low levels of jump-in. On the other hand, in an emergency braking manoeuvre, the pedal travel and damping should be low and the jump-in high. The new breed of electro-hydraulic braking systems such as the Sensotronic system recently introduced on some Mercedes models could be configured to predict the type of braking being undertaken by the driver and alter its brake pedal feel characteristics to give best results. For example, the very quick application of brakes from a high speed could give an increased jump-in, while braking being carried out at a walking pace could result in different pedal characteristics. At this stage, however, the system does not take this approach. Perhaps it will in its next iteration? In this three-part series we've looked at an area almost completely overlooked in modified cars. In fact, many will suggest that the way in which the throttle, steering and brakes work with driver inputs is no big deal - if the steering is sharp, the max braking power strong and the throttle opens all of the way, who cares? Let's throw some light on this perspective by taking the opposite approach. Imagine a car - modified or not - with the following characteristics. Steering that is too light and slow in ratio around straightahead, with too many turns lock-to-lock. A brake pedal that has a long travel but which when applied, causes the brakes to come on harshly, with their pressure then being very difficult to modulate. A throttle that is so supersensitive that it's hard to move away from a standstill without jerking back the heads of everyone in the car - and which makes the car equally hard to balance on power through corners. Driving such a car would be horrible - no matter if it did go hard with the throttle fully down, and did brake well when you were standing on the centre pedal, and did handle well once you'd got the right amount of lock on. Now consider having those controls optimised for you (as the driver) and the mechanical characteristics of the car. Steering that is light and precise around centre, although not twitchy - even with just 2.5 turns lock-to-lock. A brake pedal that allows superbly progressive retardation at slow speeds and small pedal travels, but firms up to give immense braking performance in its mid-to-long section of travel. An accelerator that transforms the characteristics of the engine from being a peaky and nervous developer of power to one that is tractable and nearly linear.